The Flying Rug sculpture series is an ongoing investigation of contemporary art within the framework of capital, politics, migration and consumption of power. 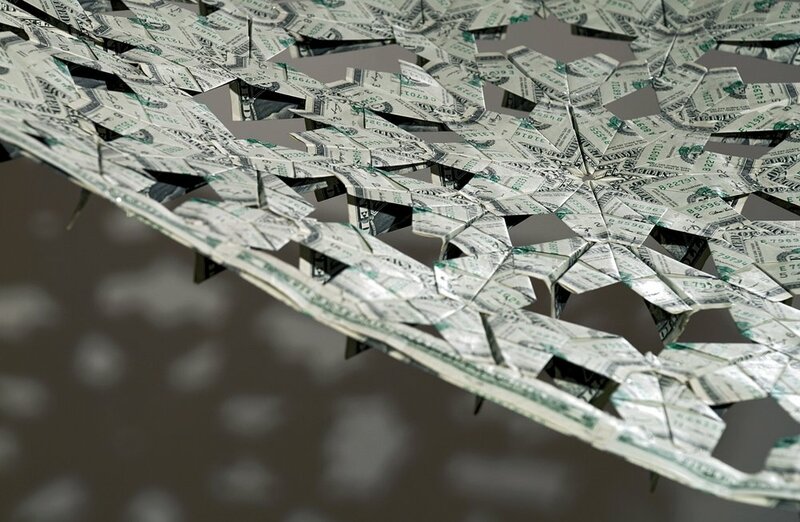 The US dollar bills are folded into paper planes to form an Islamic geometric pattern rug. Carpets and rugs hold cultural, traditional and religious importance in Islamic societies like Pakistan - famous for its handmade rugs which are major export products. The name, Flying Rug refers to the Arabian tales of magic carpets, and the shadows on the wall suggest an ‘Oriental’ dream. This dream, specifically for many Muslim men in Pakistan and in the Middle East, translates into migration from the East to the West for security, peace and a better financial future. However, the moment the rug reveals itself as a hive of planes in the viewer’s mind, this dream changes into the current reality of the post 9/11 conflicts across the world - anxiety and fear of air travel, asylum seekers, terrorist attacks and Islamophobia. Conversely, the rug also suggests the ‘accidental’ fascination with the East and the American colonisation of the Islamic World. Its poetic materiality uses currency to make autonomous art, while ironically the work affirms the interdependency of art and economy, the commercialisation of art, and culturalisation of economy. The resulting narratives of Flying Rug are rooted in the ambiguous relationships between fact and fiction, fantasy and reality, placed in the crosshairs of historical and modern-day mythologies. 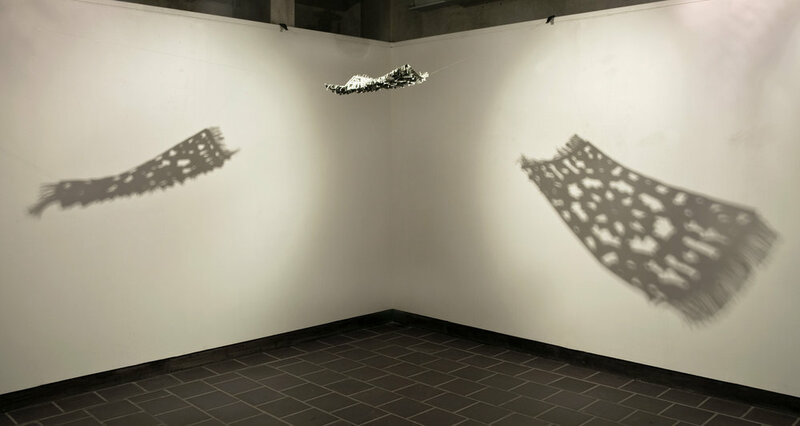 Encoded with such myths and dreams, The Flying Rug installation is a poetic critique of the impact of oriental, colonial and imperial readings of economics and geo-political conflicts on the transnational identities like Syed, a Pakistani born Muslim male living in diaspora.